Successfully Added PC Windows Media Center Remote Control USB IR Receiver to your Shopping Cart. A Wireless Remote Control For Your PC! Handheld remote controller + USB IR receiver. Plug and Play in Windows XP - no drivers or setup required whatsoever! Takes 2x AAA batteries - included. Retail packaging. Delivered worldwide. No minimum order. Login for wholesale prices and shipping quotations in the online shopping cart. 12 month warranty. 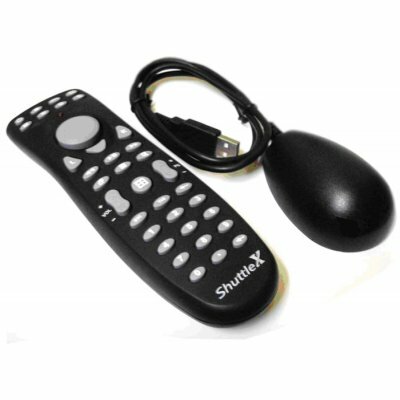 Control the mouse pointer with the remote control rocker button.